We know organising a children's birthday party is an important event and can be a tough challenge. Vector Wero has the perfect solution for you! 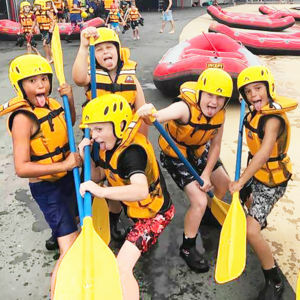 The Kids Party Adventure Package is a white water activity and food combo that is sure to be bucket loads of fun ---- and it’s very easy to organise. 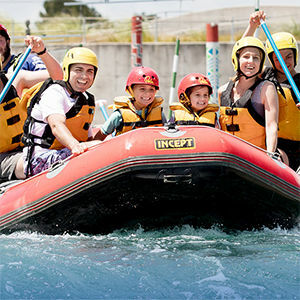 Your child and the whole gang will surely enjoy the day as they paddle down the gentle rapids of the Tamariki River. You also have the option to top up the fun with stand up paddle boarding and kayaking in the lake. To make it better, you can choose to join the children in the raft. You can also sit back and relax at our picnic tables and let our team do the rest --- the choice is yours! 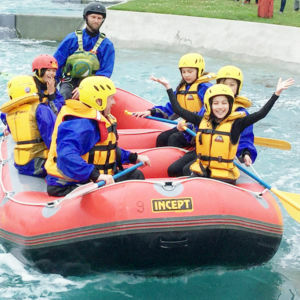 For the best children's birthday party or even if you're just looking for things to do or an activity to bring the kids during the school holidays in Auckland, this is the perfect family day out. Children must be 5 to 13 years old at the time activity takes place. Ratio is one ( 1 ) parent per two ( 2 ) kids aged five to seven ( 5-7 ). 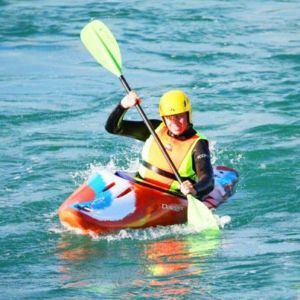 Top up the excitement and add flat water kayaking or stand up paddleboarding to the package! For booking and enquiries, please call (09) 976 7777 or use the form. We celebrated our son’s 10th birthday here and had an absolute blast! Your staff was incredible and we will definitely be recommending to our friends and family! Thanks so much for making it such an awesome day! Jodie’s party was a great success! All the kids absolutely loved their time here and the instructors were super also! We’ll be back!!! Every year, I always face the dilemma of finding an original birthday party theme. 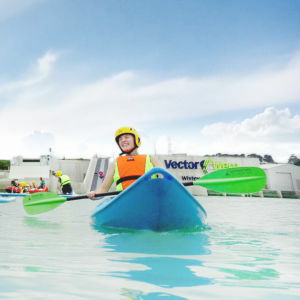 Absolutely delighted with my decision to come to Vector Wero to celebrate my daughter’s 9th birthday. The kids were super keen and everyone had a blast on the day! Rapids Café was awesome with serving our party food. Being able to have a relaxed party lunch at the Sunset Bar and to chill afterwards was a real bonus. Age range of children Please tell us the ages of the children that will be attending the birthday party. Birthday party extras Would you like to add any extra activities to your day?